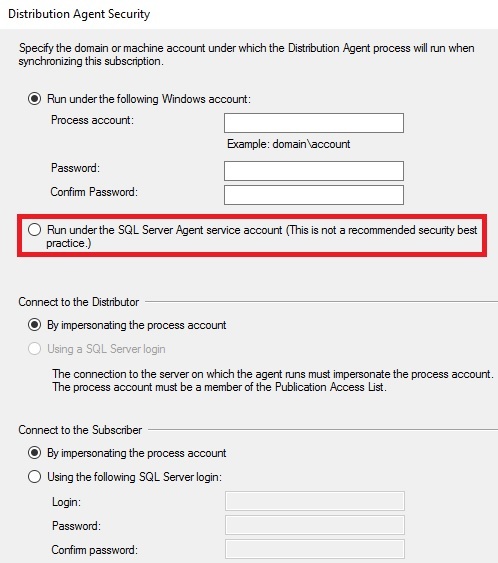 Admin – Page 2 – All about SQL Replication…. This is the option for “Memory Optimised” tables and applies to Transactional and Snapshot subscriptions only. 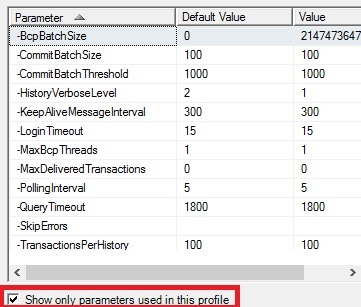 Memory Optimised tables are a newish (SQL 2014 and 2016) design feature which can be really useful for reporting purposes, and this fits in nicely with the use of many Transactional Replication systems, so it’s definitely something worth taking a look. As an additional bonus in SQL 2016 it’s also available in any edition. Just a quick clarification that we are talking about replication subscribers here, not publishers. We can’t replicate memory optimised tables from the publisher – we can only create them at the subscriber. First of all I’ll mention that selecting the option above when adding a subscription on its own does nothing! You’ll just get a normal table on the subscriber and we need to do a little more to get this to work. You need to take a look at each table in the publication and set the article properties there. The 2 options you’ll need are shown below. If you set “Enable Memory Optimisation” to true and leave the second option as false which is the default, most likely this will fail. This is because usually Primary Keys are created with a clustered index but Memory Optimised tables don’t play happily with clustered indexes. If your primary keys have a non-clustered index and there are no other clustered indexes on the table you’ll be ok, but this is a pretty unlikely scenario. Anyway, the wizard will check for you and you’ll get the following error if you’ve omitted the second option and it was required. Really there’s no reason I can think of to leave the second option set to false. So, having set the article properties and the subscription properties we are now almost ready to roll. At this stage we are good to go. Create the subscription and after initialization run the following at the subscriber to check for any memory optimised tables. All being well you’ll get a row returned like the following and we’re done :). Well strictly speaking this is a post to remind you to not accept the defaults when using continuous schedules. Although the problem I’ll describe never arises when you use a repeating schedule. Can’t remember? Just take a look at the job schedule of the Distribution Agent. 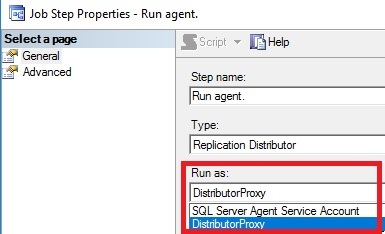 You’ll see the description will tell you “Start automatically when SQL Server Agent starts”. This means a continuous schedule. It is the default and therefore is often the one selected. Also it provides the lowest latency so it seems like the obvious choice. However what if you ever hit a data consistency error where someone has messed up the subscriber data. It happens! 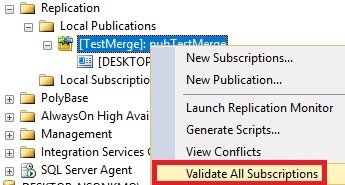 If the replication command cannot be applied to the subscriber the job runs, retries, retries, retries and so on. No error is reported. Things just seem to hang. Perhaps it is the report user who tells us that the data seems stale, but being professionals we should know this before them! The setting we need to be aware of is the one on the job step which runs the distribution agent. It is set to retry indefinitely by default. Well actually 2147483647 times but this amounts to indefinitely. Pretty soon the subscriber will default and have to be reinitialized if we don’t spot that there is a problem. Far more reasonable and after 10 mins we have our error, receive a pagerduty alert and then connect up and sort out the problem. Why is the number of retries different here compared to that set in a continuous schedule? Absolutely no reason I know of, and every system I’ve worked on I reset them as soon as I realise people are using continuous. So – either reset to something reasonable (10 seems ok) or use a repeating schedule. Solving data consistency errors and the need for monitoring…. (1) reinitialize. Most safe option but not always possible in production until we can negotiate some downtime. Sometimes we just need to get things working. The proc returns enough info to help us understand what has happened eg “Violation of PRIMARY KEY constraint ‘PK_tRegion’. Cannot insert duplicate key in object ‘dbo.tRegion’. The duplicate key value is (3).”. The main thing we need though is the xact_seqno which is also returned. Note that this can be a pain if there are a lot of errors. Each time you’ll skip the last tried command and then find the next xact_seqno and then skip that one. If there are a lot of errors you could be doing this for a while. (3) we can set the distribution agent profile to skip all these type of data consistency errors – missing rows and already existing rows. In fact this is what the previous admin had set as a default profile on the system I was looking at. 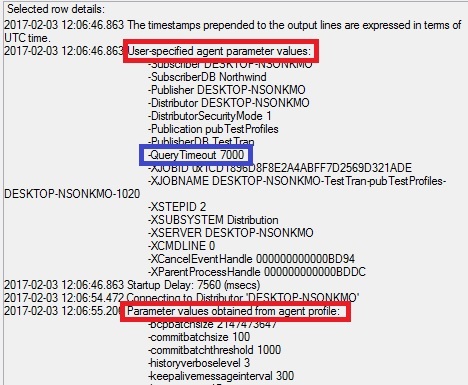 Most often it is the fastest way to get things up and running and it avoids the iterative approach of sp_setsubscriptionxactseqno. The issue I have is once this is set, there is no error recorded in the distribution agent while it happily skips commands which don’t work. Conversion failed when converting the nvarchar value ’08S01’ to data type int. Author AdminPosted on January 26, 2017 December 18, 2017 Categories Transactional2 Comments on Solving data consistency errors and the need for monitoring…. Nothing happens until we run the merge agent and synchronize. At that point if the data is out of sync the job fails and we’ll get an error in the merge agent history. As a final point if the merge agent is run again afterwards, there is a successful sync and no mention of the invalid data. So – perhaps the support team re-run the agent and the important info is lost. This sort of thing is done quite often because the merge agent might fail because of an innocuous network issue. Just something to be aware of. Lo and behold I can see some funky numbers in this column…. The query above reflects the fact that the hidden column $sys_p2p_cd_id actually holds 2 separate bits of info: the node which made the change and the id of the transaction itself. The internal function sys.fn_replvarbintoint is particularly useful here as this returns the Originator_ID. 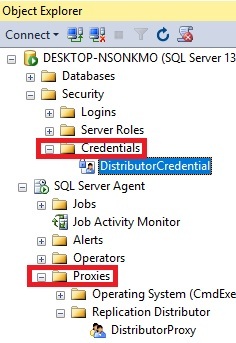 In the query above I have joined the inner results to the MSpeer_originatorid_history table in order to get the actual peer hostname (originator_node) so you can see what is going on, but the numerical Originator_ID is still important itself. This is because it is used in the conflict resolution if p2p_continue_onconflict is set to true – the Originator_ID with the highest value wins in a conflict. At this stage you might ask how can this possibly work? If the TranID changes when a row changes, the value in $sys_p2p_cd_id must change, so the value of $sys_p2p_cd_id between one changed node and another (not changed) will naturally be different. If we look for differences in $sys_p2p_cd_id as an indication that there is a conflict, then all data changes should produce such a conflict!!! Actually, the log reader here does something quite clever. When the data change is first made, the old and the new values of the $sys_p2p_cd_id column are stored in the MSRepl_Commands table. We can use sp_browsereplcmds to see that these values are added to the arguments for the internal stored procedure sp_MSupd_dbotRegion. This way the old value of $sys_p2p_cd_id can be checked against the value at the destination, because this should still be identical. If it isn’t then there is a conflict and we then go on to take a look at the 2 Originator_IDs and check for the highest value which will predominate.